The CFIA announced, last December, a health alert against Tropik Splash-brand lemonade for possibly containing glass fragments that are harmful to the body when consumed. With this, the product’s manufacturer, Propack Foods Inc., is doing a voluntary recall out of caution and in order to prevent any consumer from being harmed because of consuming the lemonade. The recalled lemonade, sold under the brand Tropik Splash, was packed in 473-ml bottles and indicating a UPC code of 0 26595 78680 8. 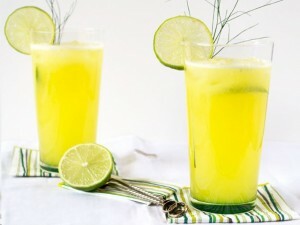 The recalled product also has a lot code of “BB 2013 SEP 14.” The lemonade was distributed to different food retail stores in the areas of Ontario and Quebec. However, there is also a possibility that the product was distributed all throughout Canada. To date, no injuries and other medical emergencies have been reported that are related to the recalled lemonade. The CFIA is also working with Propack Foods in monitoring the recall and making sure that it is effective. Aside from the specified product, Tropik Splash Lemonade, no other Propack Foods product is affected by the recall. Consumers who have concerns about the affected product, or who may have bought the recalled lemonade, can call the CFIA at the toll free number 800-442-2342. They can also call the agency at this number, 800-465-7735. Consumer service representatives are available to answer consumer concerns from 8:00 in the morning until 8:00 in the evening (Eastern Time), during weekdays. To learn more about other food recalls monitored by the agency, consumers can also visit the CFIA’s site on Food Recalls.